As with any tips you receive remember that your family is unique and it can take some trial and error to figure out how these tips can be used and if needed, adjusted to best suit your family dynamics and personalities. The key is to just start trying and to tweak as need be. It’s a wise old saying but it will definitely help you in the everyday chaos that can be family. Have a specific place for school bags, whether it is by the garage door, hooks on the back of their bedroom doors, in their cupboards or a Pinterest worthy storage unit specifically designed for school stuff. The trick is to train your children that it is their responsibility to place things where they belong and can be found, not randomly dumped throughout the house. The same goes for school uniforms/shoes/lunchboxes/school paperwork. 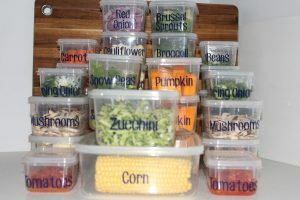 Decide where to house all these things and then train your children (and retrain them!) to put them in this spot. My other secret is to not have too much stuff. Kids don’t need 10 uniforms (unless you only wash once a month ☺) or 4 different lunchboxes. The less stuff you have the less you have to organise and the less they have to be responsible for or to choose from thereby saving arguments. A win for everyone! You might already do this for you dinner meals but I also suggest doing this for lunches, morning tea and sip and crunch well ahead of time, not just at 8:39am each morning! If you know your kids will eat vegemite sandwiches everyday this week then why not prepare them all on Sunday night and freeze them? Same for fruit and vegies, cut it all up on Sunday night. 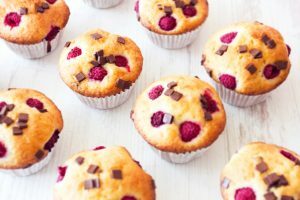 If your kids have a more varied diet or again you’re a “Pinterest Mum” then planning will help you with your shopping and will eliminate finding out at 8:44am that today will have to be a lunch-order day because you’ve run out of bread. Make sure you have space in your kids’ afternoon or evening to get their homework done and space in your day to help them. Don’t forget space and time to play and chill out from all the learning they have done too. In the evenings make lunches or preferably get the kids to make their own planned morning tea/lunches, if you haven’t done them all on Sunday night. Have your children lay out their uniforms and anything else that they can get ready for the morning. This helps train them to be prepared and think about what they need for themselves – a great life skill. It should also hopefully save you from panicked mornings of not being able to find their reader/homework/permission slips/sports uniform etc. Speaking of mornings, I don’t know of one parent that likes a stressed morning filled with yelling and tears, so why not plan your mornings and have a routine to help you and your children stay calm? This might mean getting up earlier than you’d prefer so that you can meditate, exercise and to get yourself ready before having to deal with your cherubs. Setting clear expectations of what you want them to do/have ready before heading off to school will help reduce the stress. Whether that means that they have a checklist they work from or that the TV doesn’t go on/no playing until they are fed, dressed and ready to go. Setting music alarms to go off on your phone10 minutes before you need to be in the car is a positive and fun way to remind everyone and reduce your need to hustle with nagging. Whatever works best for your family remember to always give yourselves plenty of time for the inevitable curve ball of kids not being able to find the exact right hair tie or waking up grumpy. This is my favourtie tip! We all want our kids to know how much they are loved and how amazing we think they are. I believe that by being organised for the school day you will have more chance of genuine connection with your kids each morning. Make connection with your kids a priority. Whether it is through hugs, kisses, notes in lunchboxes, prayer or chats on the way to school try your best to have that heart connection before you send your kids off into the world. Connection will also help everyone (including us parents) start the day in a positive way. I think this tip is especially important for us all at the start of the year as will help all of us deal with the anxiousness of new experiences. It is also important at the end of the day to connect and debrief our days. So from me to you, I wish you an organised, happy and connected start to the schooling year! 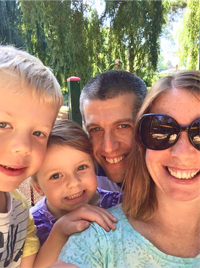 About the author: Kirsty is a wife to THE most organized man alive and has learnt most of her organizational skill through the osmosis process of living with him for the last 10 years! She is the mother of two cheeky and wonderful children aged 5 and 3. Kirsty has been a Professional Organiser for the last 3 years helping other families organise their houses so it feels like home. You can connect with her on Facebook for more inspiring and practical tips on living an organised life! 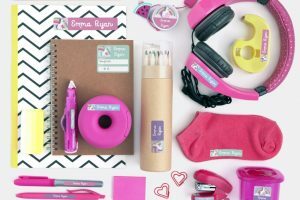 Ideas for Back to School Organisation? Here’s the 21 Best of the Best Hacks!